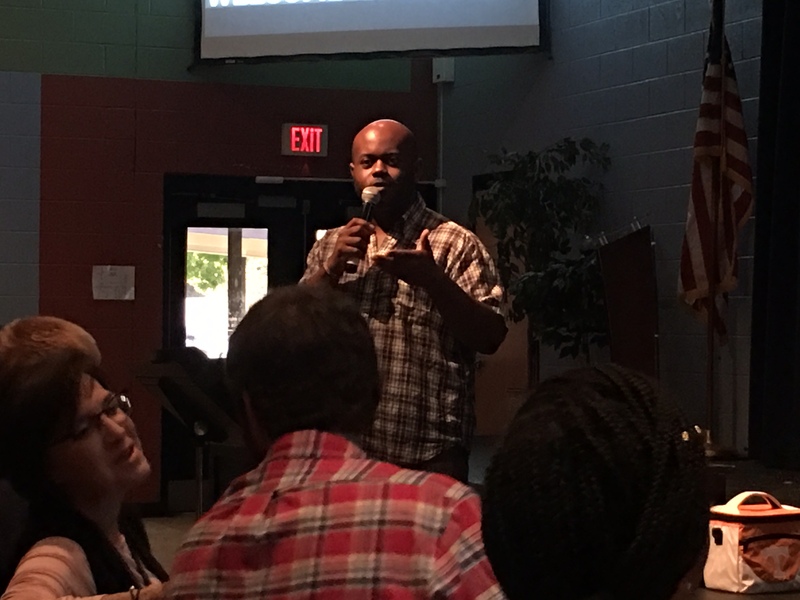 Patrick Chappell, the College and Young Adult Minister at Otter Creek Church of Christ, was the guest speaker at chapel on Sep. 6 at NCS. Some of you may remember his chapel speech from last year where he shared the Kool-Aid song with everyone. He was welcomed back to share another lesson with the students and faculty of NCS and, of course, sing the Kool-Aid song once more. His lesson was about the power of listening. Listening to someone, truly listening, is one of the best gifts you can give someone. He talked about what constitutes true listening. In order to listen properly, you have to listen to someone with the intent of hearing them out. You can’t listen to someone if you’re just waiting for the right time to interject and shift the conversations direction. You have to be able to put aside your own distractIONS and give the person speaking your undivided attention. You have to be willing to let the other person drive the conversation. Listening with your full attention is an example of showing the Christianly love we should share with others. After delivering his speech, Chappell did what we all were waiting for. He sang the Kool-Aid song. Many were already familiar with the words, but he sang it once through, so everyone could join in. It lightened the mood of chapel and left people smiling as they returned to their school day. “I love the Kool-Aid man because he is so passionate for the lord, and he knows how to communicate to us moody and hormonal teenagers,” said Hampton Taron, a junior. Patrick Chappell’s chapel message was well received among students and the song he sang is still ringing through the heads of many.